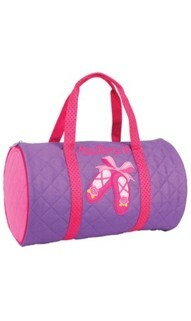 A perfectly personalized ballet bag for your newest little ballerina. Great for carrying the extra shoes, hair ties, and leotards. Make it fun by adding her embroidered name.